It’s not often you get to enjoy a favourite dessert from your childhood in a vaping device – especially if you’re looking for a CBD oil. 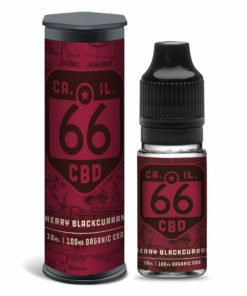 Well luckily, our Route 66 Jam Rolly Polly CBD e-liquid is designed to tick all the boxes when it comes to delivering the taste of sweet jam rolled in a steamed suet pudding. 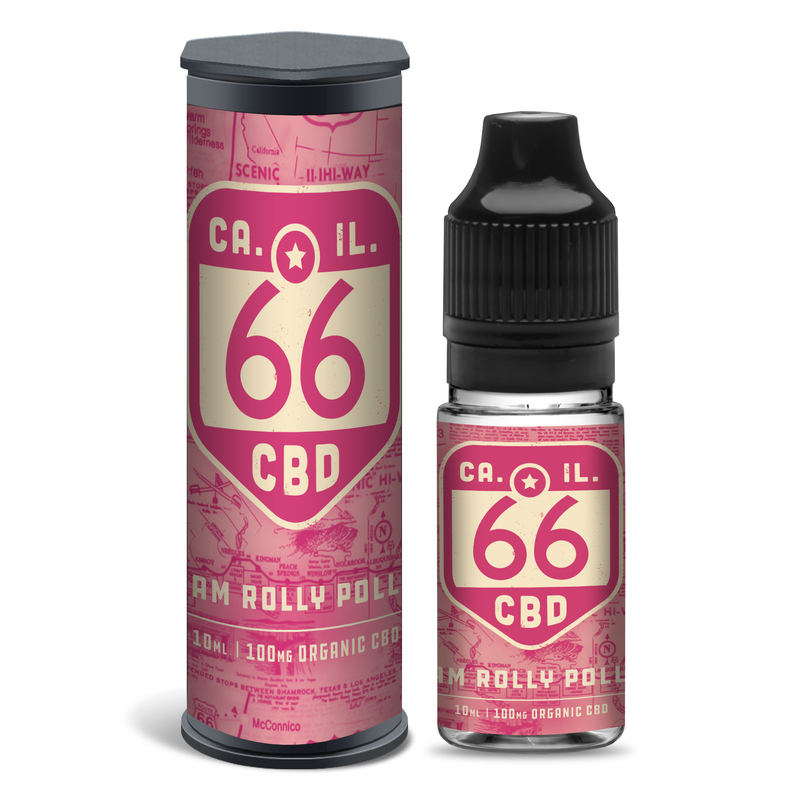 Our Jam Rolly Polly CBD e-juice comes in 10ml bottles, each containing 100mg of organic CBD with a 40/60 mix of VG/PG bases, ensuring that you get to enjoy not only a satiating throat-hit, but also big clouds on the exhale. And remember, if you find our CBD oil a little strong when you are first starting out, you can always simply dilute it first. It’s easy to see why people love our Route 66 Jam Rolly Polly CBD Oil, but if you prefer your e-juice a little more tropical, then treat yourself to some of our Route 66 Mango and Passionfruit CBD e-liquid. We only use the finest pharmaceutical grade ingredients, and all products are made in our UK-based laboratory in an ISO clean room. Just like the real thing. fast delivery too.